1. Some recent changes in a brief note from KD2SL: "The 53.67 repeater has a new vertical dipole antenna at 725 ft. on the tower, which has improved the RX quality significantly to the W, N and E. To the S, range has actually been lost due to tower blockage. Can’t have everything, I guess. The repeater is still transmitting on the old antenna on the top (see KD2SL.com for more info). Please Let KD2SL; Kevin, know your reception reports at KD2SL@yahoo.com. The 224.12 repeater (-) and 103.5 PL, gets regular use, with decent RX range. It is actually coupled into the 6m dipole for RX (TX is near ground level). The 6m dipole works so well for 220 RX that I also want to experiment with it for 2m. Even though it has less gain than the DB-224, the tremendous height overcomes that to a large degree. It’s worth checking out; this stuff is fun to experiment with. If it matches or exceeds distant RX performance of the ground-level DB-224, it may be worth doing the split antenna thing for the 2m repeater." 2. When you are in the North Country, don’t forget the repeater on Blue Mountain in Hamilton County, 146.865 (–), PL = 162.2 call sign = KC2ZZO. The Bear Bait Radio Club has worked very hard to put this important amateur radio asset in place. It has great coverage in the Adirondacks. Several people have asked me how they can support this nice machine. You can do so by sending donations to the club at: Bear Bait Radio Club, P.O. Box 172, Clay ,N.Y. 13041. Please enclose a note indicating "donation for the repeater fund". 3. A new 220 MHz repeater has been installed in Newark by Tom; N2TKR. The frequency is 224.90 (-), with no PL tone. It is located at the same site as the 146.745 Drumlins repeater. It is on the air, but Tom is still fine tuning the receiver pre-amp and expects full operation within the next few weeks. I am receiving it full scale here, 10 miles south of Auburn. I will post another update in mid-December. 4. A new Syracuse 2M repeater is in the works! Here is a brief note from Kevin - KD2SL, discussing a new project! “Thanks to the donations of several interested Syracuse-area hams, a new 2M repeater will soon be on the air in Syracuse. Why a new repeater? With the recent removal of 147.21 by LARC(as of 11/30 the 147.21 is back on the air with K9CHP as trustee), these hams felt there was a void, and interest was expressed in a new 2m repeater that would have: 1) Best possible range and coverage; 2) No ties to clubs or other organizations. Clubs and other organizations perform important functions, but at times they can also encumber a repeater with partisan and political restrictions and maneuvering that don’t always promote the advancement and enjoyment of amateur radio." Please support your favorite repeater and the folks who install and maintain them. A lot of time and expense goes into having this capability that is open to all licensed Hams. All these repeaters are supported and sponsored by BBRC. The repeater equipment is privately owned. This system has excellent coverage across a wide area of the Finger Lakes, Southern Tier, Southwestern Adirondacks and the Mohawk Valley. This includes the cities of Auburn, Cortland, Rome, Utica and Syracuse. The system also has EchoLink capability and is well used. The trustees of this system do a fantastic job keeping the system at peak performance. Thanks to Bob-KA2FWN, Jack-W2QYT, Chris-KB2FAF, Mike-KB2AUJ, Matt N2PYI and Jerry N2FSD for all their hard work! **** 145.33 is back on the air as of 11/10/13 - 5 pm! Thanks Bob! The Rochester VHF Group has a Monday Evening Net on 144.260 USB at 9pm local time. I believe they also move over to 50.200 at 9:30pm. Stop by and check them out some Monday. CNY Swap Net moving to the 147.000! The CNY Swap and Information net is moving to the 147.000 and its sister linked repeaters! The Swap Net hosted by Tim; N2VZD, will be moving from the 146.910 repeater to the 147.000 in Auburn on Wednesday October 16, 2013. Hear others or post your own swap listings or ham radio information. This is an excellent coverage repeater system covering a large area of upstate NY. This net is a well attended net that takes place at 7pm every Wednesday night. Stay tuned for here for more details! 2014 HAMFEST SCHEDULE (just developing!) .......STAY TUNED!!! February 22, 2014 - 33rd annual ARAST Winter Hamfest, Horseheads, NY. April 5, 2014 - Drumlins Hamfest, Newark, NY. , (need to confirm location).Palmyra VFW Post 6778, 4306 Route 31, Palmyra, NY., Vendors at 7:00 AM, Public 8:00 AM-Till? When your headed into the North Country, also try the North/South UHF System 2 that KA2FWN and company are putting together. This has very nice coverage along the Route 12 and 28 corridors, as well as many other areas in the north country. We will post updates here as the system development progresses. Thanks to KA2FWN - Bob for the latest info on these growing systems! 449.225- PL 103.5 Watertown KA2FWN/R (NEW as of 8/29/13)-note; there may be changes to this frequency - STAY TUNED HERE, For updates as they become available! Don't forget 220mhz if you have the capability! The Syracuse 220 Repeater is now back on the air and run by Kevin; KD2SL. It has been rebuilt and is going through some fine tuning. Give it a try and watch for coming improvements over the next month or so. 224.120 (-) PL 103.5 – KD2SL at Sentinel Heights, Lafayette, NY. The Tompkins County Amateur Radio Association (TCARA) launched a radio equipped weather balloon around 4pm today (Sunday 10/6/13) from a location near the Pyramid Mall in Ithaca. The radio transmitter was tracked North and East into Cayuga County. The last known strongest signal was from a location between Owasco and Skanaeateles Lakes. The radio payload was not recovered and the search was called off at dark. The radio was transmitting a CW ID on 446.450 mhz. The club estimated the life of the battery at about 10 hours, so it will most likely fail overnight into Monday morning. If any one does recover it, please contact any TCARA board member through their web site at http://tcarc-ny.org/officers.htm for instructions on how to return it to their group. RARA has once again joined with the Damascus Shriners to produce our third annual Fall Fest and Tailgate Party. The Shriners will provide a first class location with ample parking, indoor bathroom facilities, a separate area for larger vehicles and RVs, a large covered picnic area to eat in, and a large deck to rest after all that shopping. If you’re running late, there will be some breakfast food to fill up on. Then use that energy to walk around and buy some more gear! This is our opportunity to give back! Here’s the chance to buy and sell items you need or want to part with, as well as to socialize with others in the ham community. This event will be on Saturday, September 14th, and will open at 7 AM for vendors and 8 AM for all others. It will go to around Noon. It is conveniently located off Rt.104 at 979 Bay Rd., Webster, N.Y. 14580. Upon entering, the staff will ask for a $5 donation that will all go to help fund the Shriners Hospital for Children. Please spread the word and don‘t miss your last local flea market for buying and selling ham radio gear. New 2 meter Repeater for the Adirondacks! UPDATE: 7/27/13 The Blue Mt. repeater is back on the air as of noon today. I talked with both W2CJS and WA2DAD this afternoon on the repeater. The repeater sounded great. Thanks to Clark, Tom and the team that hiked up to repair the repeater and antenna that were recently damaged by a lightning strike. On Saturday, May 18th, the Bear Bait Radio Club and other NNY amateur operators installed a 2 meter repeater on the top of Blue Mountain, near Blue Mountain Lake. This will be a Hamilton County RACES repeater available for general public use as well. The frequency is 146.865 (-) with a PL of 162.2. Area coverage plots for this repeater are quite impressive, showing potential coverage from the St. Lawrence to near Utica, and Watertown to Vermont. The only noticeable dead spot is the Champlain Valley. Several people have asked me how they can support this nice machine. You can do so by sending donations to the club at: Bear Bait Radio Club, P.O. Box 172, Clay ,N.Y. 13041. Please enclose a note indicating "donation for the repeater fund". On another North Country note, if you haven’t already tried them; there is both a 2M and 70CM repeater on McCauley Mountain just outside of Old Forge. The repeaters are the 147.315 + PL 71.9(KA2FWN) and the 443.175 + PL 103.5(KA2FWN). The 443.175 is also linked to the 443.850 +PL 103.5 in Kirkland. Both Old Forge repeaters have very good coverage. Give them a try! WN8Z has a new repeater operating from Fulton. Signal reports so far indicate this to be another wide coverage repeater for CNY. The repeater output is on 147.390 + and will eventually have a PL of 103.5. Pat (WN8Z) mentioned that he will provide a message on the repeater several weeks before the PL is actually added, but at this time no PL tone is required (note as of 8/2013 the PL is required). The repeater is located near the Oswego County Airport northeast of Fulton. Full quieting reports have been heard from Homer north to Pulaski and from Waterloo east to Verona on the Thruway. Several people are also getting excellent signal reports on handhelds from over 30 miles away. Nice job Pat! Thanks for your efforts and support to Upstate NY Radio Amateurs! - Also check out the 147.15 mhz Fulton area repeater, (+) offset with 103.5 PL! 53.63 Bristol WR2AHL Minus 110.9 Worden Hill with 145.110 - Bristol Mtn. In our travels, several of us have been trying to confirm some of our previously listed (Dec. 2012) 6M repeaters both in eastern and western NY with limited success. We are always looking for more active 6M repeater confirmations! If you can help us, leave a comment here or e-mail us through my QRZ e-mail address. UPDATE: The New 6M repeater in Clyde NY has been updated. I got an e-mail yesterday from Mike - KA2NDW and he has finished up the final set up of his repeater at 53.47 Mhz, with a minus offset of 1.00Mhz and a PL of 82.5. Mike is looking for signal reports from anybody who can hear it. Here in Auburn it comes in full scale. Learn more about the KA2NDW repeaters at: http://www.KA2NDW.net. .....don't forget the present CNY 6 meter repeaters of 53.05, 53.63 and 53.67 Mhz. Please support 6 Meters and join in the 6 Meter net each Tuesday night at 7:30pm on the 53.05 in Auburn. A few weeks ago a friend gave me a couple of old tube type portable survival radios that had been sitting in his basement. The radios are both Hoffman RT-159/URC-4 models. One is Army green and the other bright yellow. Both are in pretty good condition. They are dual band transceivers set up to transmit and receive on the air band emergency channels 121.5 Mhz and 243.0 Mhz. One of the coolest things are the telescoping dipole antennas that you can unfold and set for either VHF or UHF. I started to do some research on the history of this radio and found it dates back to the early 1950's. One of these days I will have to try to find a power source to try and see if they will function (though I better use a dummy load, as both frequencies are still the main aircraft emergency channels). If you know anything about these radios, please leave a comment on this blog entry or e-mail me through my QRZ e-mail address. April, 13, 2013 - Drumlins Hamfest, Newark, NY. Note: New location this year (no longer in Marbletown).....Palmyra VFW Post 6778, 4306 Route 31, Palmyra, NY. Vendors at 7:00 AM, Public 8:00 AM-Till? April, 14, 2013 - Binghamton Area Hamfest, Binghamton, NY. May 4th, 2013 - The annual Antique Wireless Association (AWA) Spring Meet will be held at the Veterans Park Complex on Rts. 5&20 in East Bloomfield NY. Stay tuned for more details! September 14, 2013, RARA Ham Tailgate, ROCHESTER AMATEUR RADIO ASSN. Webster NY. The Liverpool Amateur Repeater Club operates four repeaters in the Syracuse area. Their two sites are located 1,600' above sea level and providing coverage from Rochester in the west, to Cortland in the south, to Utica in the east, and into southern Canada to the north. No PL tones are required for the LARC repeaters. Check them out! The .91 is fairly busy and you can always find drive time folks on the air between 6-8am weekday mornings on the 146.91 repeater. Ham Tailgate Fest, Auburn N.Y.
May 4th, 2013 - Ham Tailgate Fest, Auburn N.Y. will be held at the old GE Powerex parking lot at 357 W. Genesee St. in Auburn N.Y. (next to McDonald's). Entry is a canned good or $2.00 cash donation, all proceeds to charity! Rain or shine! Bring your old Ham and computer gear, or anything else to sell. If you have questions, try calling Jerry K2QJB or John WB2YGN on the 147.00 Auburn Repeater for more specific information. Radio programming software - check it out! 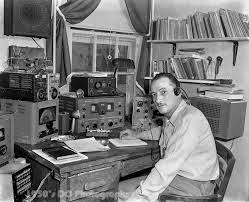 I have purchased several different software packages for programming my various radios. Each one is just a little bit different and has the data formatted in different ways. Managing and updating all the different radios has not been easy. I finally stumbled across a software program called CHIRP that can share data files across several manufacturers and models. CHIRP is a free, open-source tool for programming your amateur radio. It supports a large number of manufacturers and models, as well as provides a way to interface with multiple data sources and formats. CHIRP was developed by Dan Smith; KK7DS and runs on Windows, Linux and Mac operating systems. - Join the mailing list! We have a new 6M repeater operating in CNY. KA2NDW has recently set up this repeater at 53.47 Mhz, with a minus offset of 1.00Mhz and a PL of 82.5. Here in Auburn it comes in full scale. I believe testing and set up tuning are still going on so be patient while they get their set up optimized. Learn more about the KA2NDW repeaters at: http://www.KA2NDW.net. Today, on a hunch, I connected the 10m receiver to the same antenna used for the 6m repeater. Amazingly, it actually works! So, we have a 10m repeater in Syracuse! Feel free to give it a try, and let me know if you can get in. 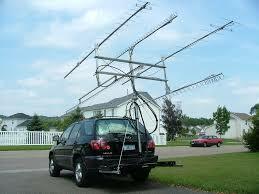 Also, whether or not you can get in, let me know what antenna, how much power, and where you are. If your radio supports it, you can activate tone squelch on receive to keep the squelch from opening on noise. Join us each Wednesday at 7:00 pm for the LARC Swap and Information net, now a tri-band net! I was told that W2HYP is working on bringing this repeater on the air in early 2013. Stay tuned! The National 10 Meter FM Simplex Frequency: 29.600 MHz. 29.610 MHz. 29.620 MHz. 29.630 MHz. 29.640 MHz. 29.640 MHz. 29.650 MHz. 29.660 MHz. 29.670 MHz. 29.680 MHz. 29.690 MHz. It is helpful to have an HF radio with dual VFO's or one that the "split" can be programmed into. An example of working a typical 10 Meter FM Repeater "split" is as follows: Repeater Output Frequency= 29.680 MHz. Repeater Input Frequency= 29.580 MHz. Be aware that some 10 Meter FM Repeaters may require a PL tone that needs to be inserted to bring them up just like many 2-meter and 440 Repeaters. Listen for band openings and good luck on working the DX! Local Railroad Amateur Railfan Frequencies for Western & CNY, New York. 161.310/161.350 Frontier Yard Car Dept. 161.490 CH-4 Alt. Switching CH.